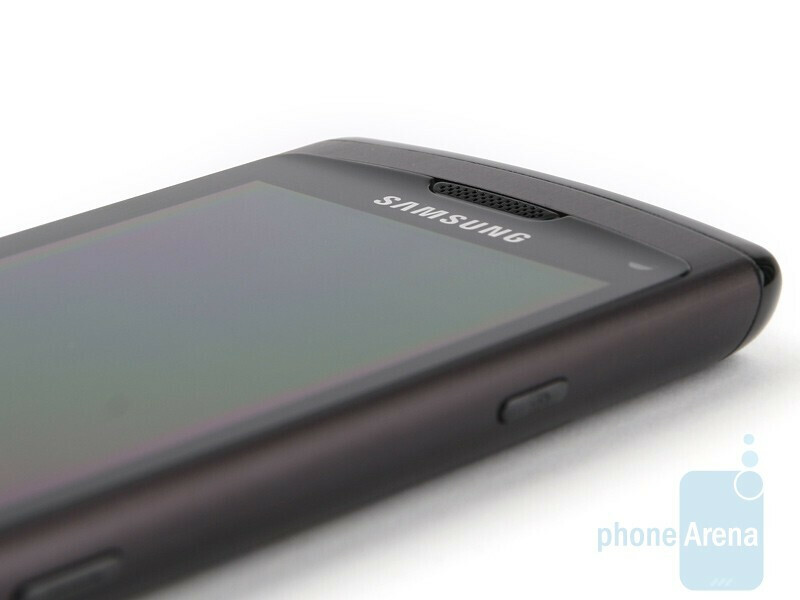 Samsung's first bada phone - the Samsung Wave S8500 - is finally here. A few months ago we reviewed a prototype unit, which left us with rather high expectations for the final product. Now that it's here, we are ready to see what Samsung's latest and greatest creation has to offer. Being a full-featured mobile platform however, bada will inevitably face some pretty strong competition in the form of BlackBerry, webOS, Android and iPhone OS. Or will it? According to Samsung, bada is the easy to use type of OS, which will combine the greatness of having rich 3rd-party apps with a user-friendly interface that would appeal to every average Joe out there. 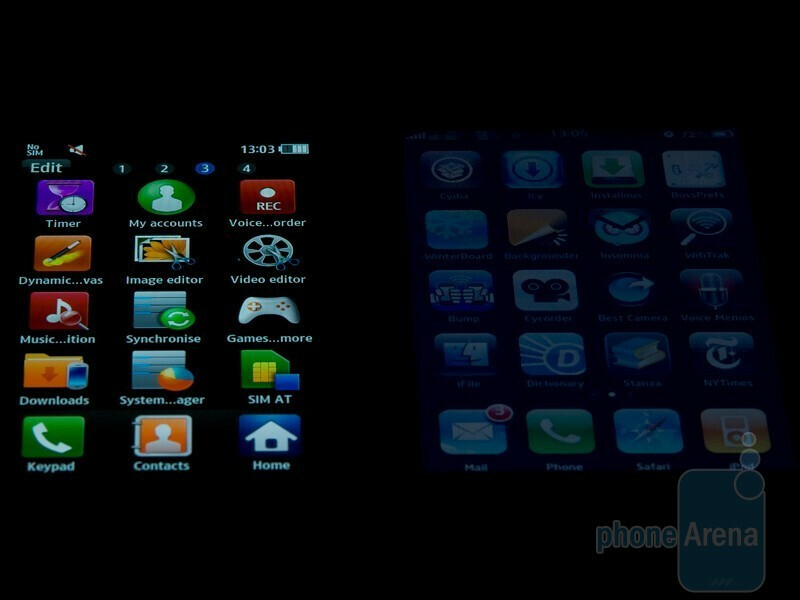 So bada is not that much of an opponent to BlackBerry and Windows Phone, than it is to the iPhone, webOS and Android. Congrats, Samsung, you just painted some really tough future for yourself. The manufacturer's vision is well-represented by its slogan "smartphone for everyone". Well, a bada smartphone for everyone is no doubt what every Samsung executive envisions, but as of now this is surely more of a dream than it is a reality. The question is if, eventually, some day, the bada-based smartphones would really become a part of the general customer's life, similarly to the iPhone now. 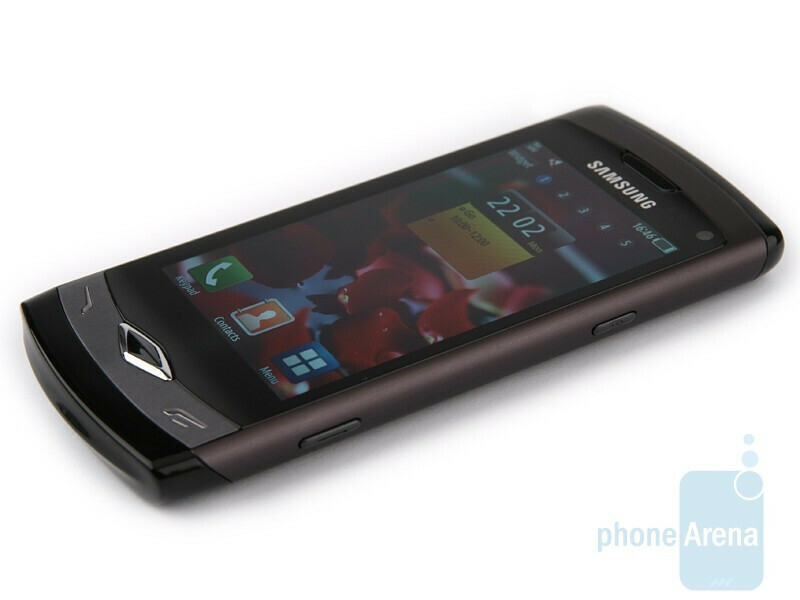 In terms of design, the Samsung Wave S8500 is a great achievement of technology (and of Samsung's design team). 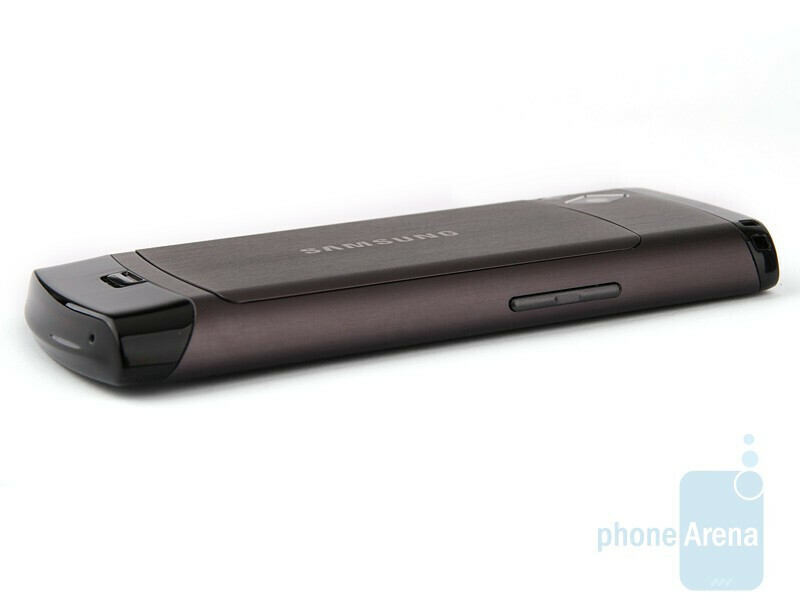 It is definitely a good looker, sports a pretty solid metal chassis and is really thin at just 0.43 inches (10.9mm). 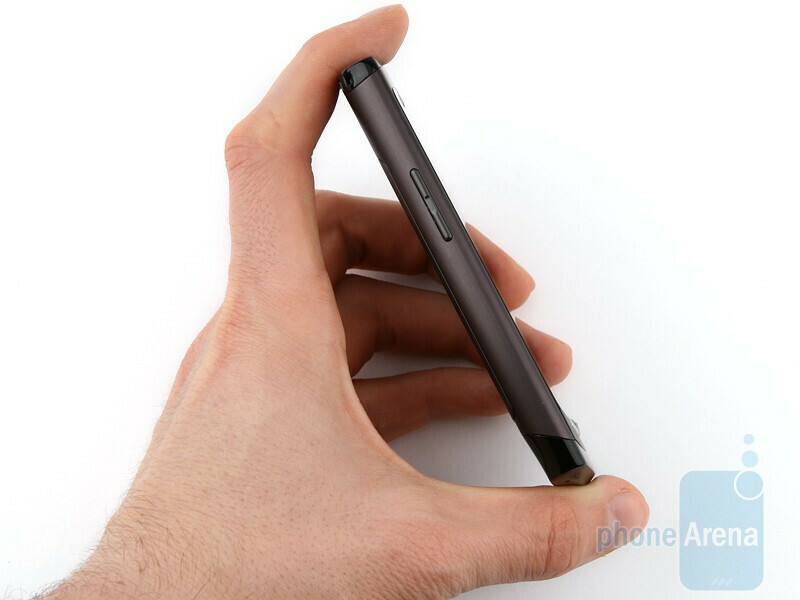 The in-hand feel of the smartphone is top-notch, thanks to the high-quality materials used and its significant weight. 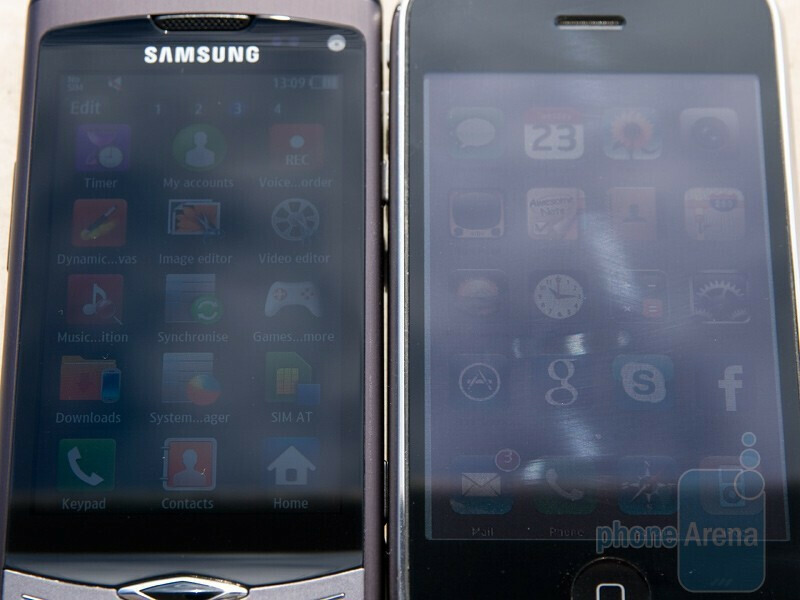 The Samsung Wave looks similar to the Nexus One and has almost the same dimensions, but there's one important difference - the capacitive screen measures 3.3 inches, while the Nexus One has a 3.7-inch one. Except for that one issue, we are perfectly happy with the Wave's display. Like every AMOLED, it delivers great contrast, blacks are really pitch black, and colors are incredibly vivid. However, Samsung has utilized a new “Super AMOLED” technology, which is said to provide even better image quality and less reflection. The manufacturer has achieved this by removing the panel for the touch sensor and the air gap between the AMOLED and the touch sensor. This should also allow for better visibility under bright sunlight, which is something not very common for AMOLEDs. 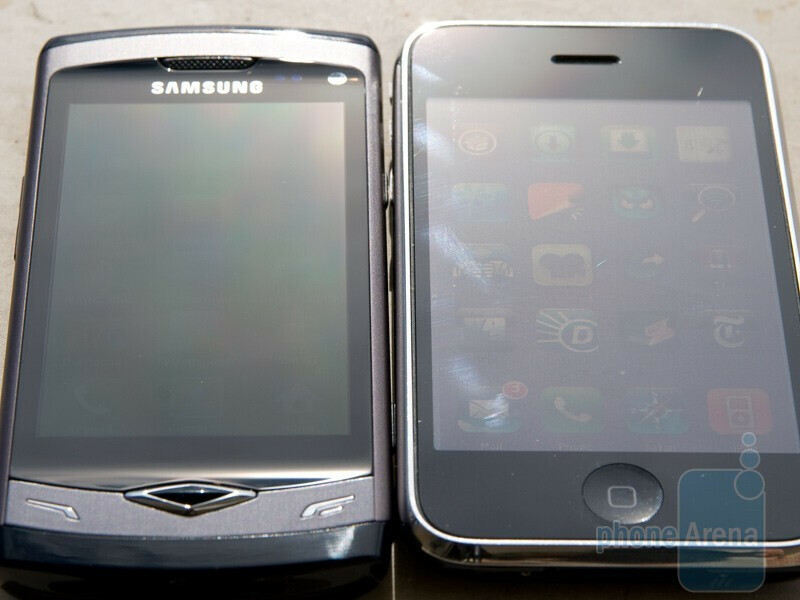 We compared the Wave's screen with the one of the iPhone 3G and it was better in almost every respect. When indoors, the Super AMOLED provides a lot more clarity and saturation, while its viewing angle is incomparably wider. The Wave is indeed quite usable when outdoors, but still the iPhone 3G demonstrated its supremacy here. The resolution is 480x800 pixels - very good for this screen size, although things do not appear crystal clear.. For example, texts have an obvious pixelization to them, and you might also experience some not very accurate color representation. Samsung has covered the display with tempered glass, which is really firm, and has even applied an oleophobic (from the Greek “oleo” – oil) coating so it doesn’t get the annoying fingerprint smudges. The end result is near perfect. You can compare the Samsung Wave S8500 with many other phones using our Size Visualization Tool. Below the screen we get nicely designed send and end keys, as well as a menu key, which is also used to bring up the multitasking menu. 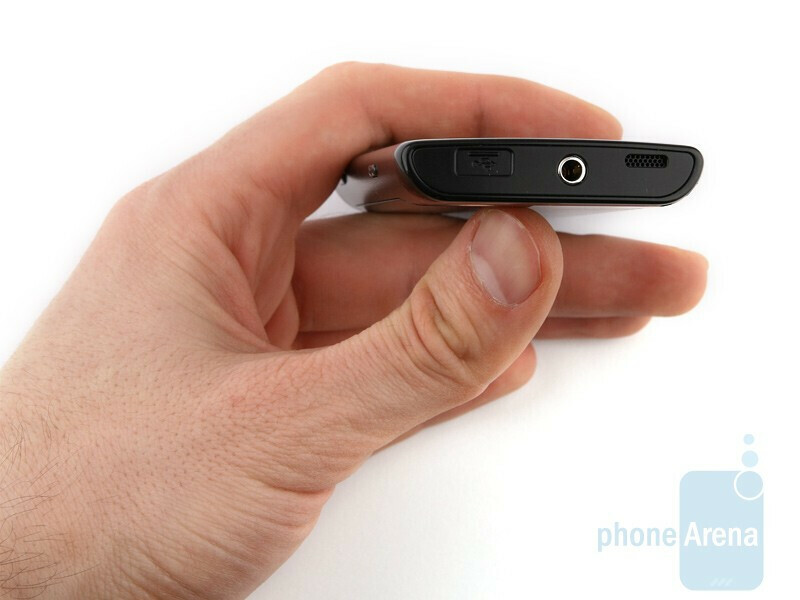 On the left side is simply the volume rocker, on the right are the lock key and camera shutter, and on the top you'll find the loudspeaker, 3.5mm jack and microUSB port. 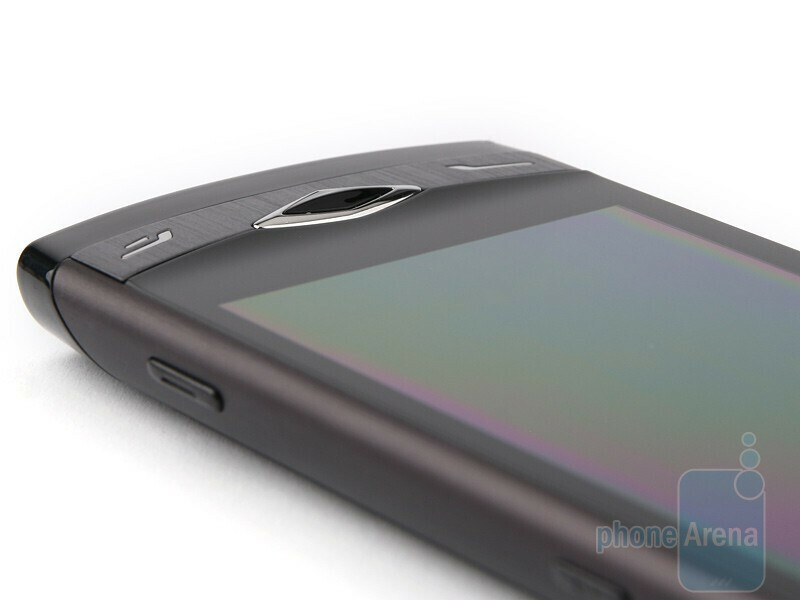 On the back are the 5MP camera with 720p video recording capabilities and LED flash. We didn't really like the batter door, which is again made of metal, but uses a different shade of the color, making it look less uniform. 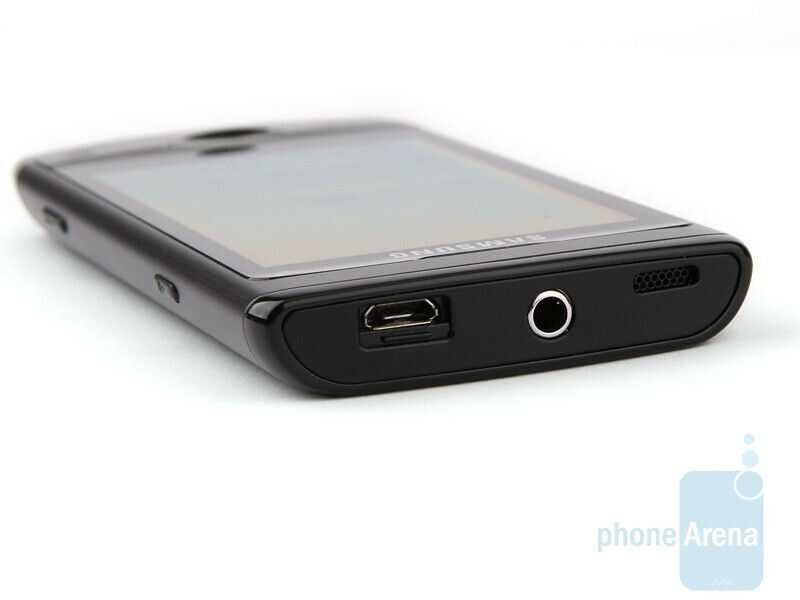 Once you remove that, you get access to the 1500mAh battery. Once you remove that... you can then use the SIM and microSD card slots. On the whole, the build quality of the Samsung Wave S8500 is great. 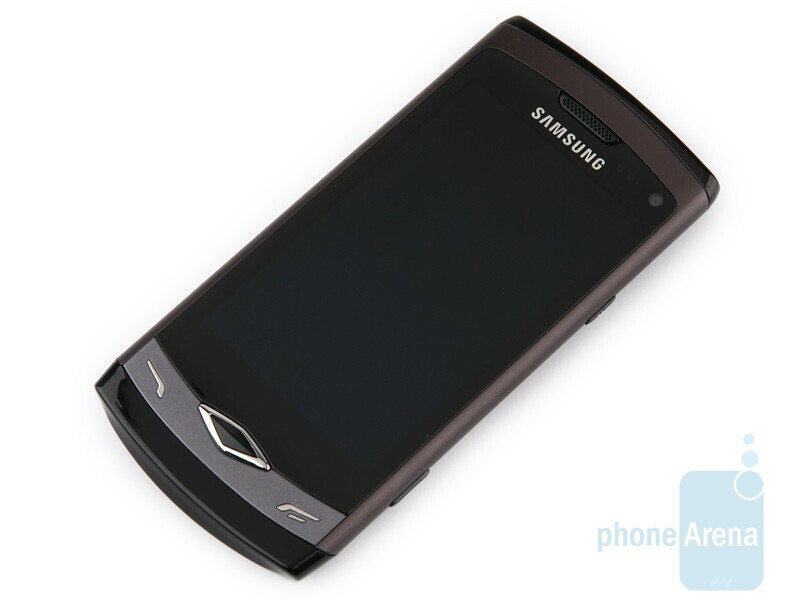 It is obvious that Samsung wanted to come up with a killer handset for the introduction of bada, and we've got to admit they have achieved very good results here in the design department. It is clear however that what's more interesting on this particular handset is its software - the bada OS and its web browsing capabilities, its application marketplace and multimedia features. So, let's check it out! Well.. Let me understand. We have a phone which is thin and feels as if it's screen is small because of that, with 3 buttons, with basic menu graphics, a lot of small (and not so small) technical problems, a pathetic excuse for an app store, an average camera, horrible web browsing experience, e-mail problems, and overall not very good performance. Nokia 5800, anyone? Fail. 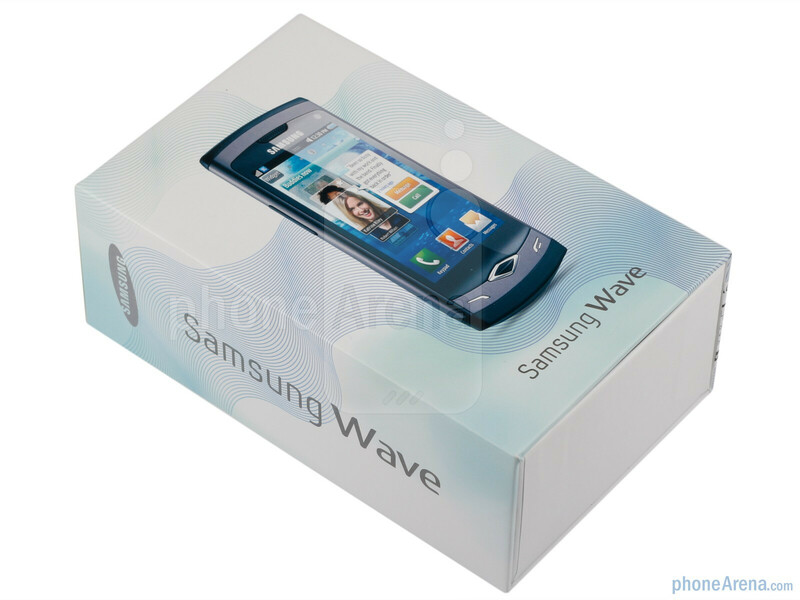 if you think the samsung wave has a avarage camera then what do you think most htc phones or a iphones camera is like? basic menu graphics? im guessing you are probably 14, you got to understand that just because its a new os which was released with 100 apps that its a not a pathetic excuse for an app store.... Everyone started like that you fool. You must be smoking something mate! The Good! 15 hours talk time! One of the best voice/audio quality phones out! Super amoled! Speedy smooth UI! 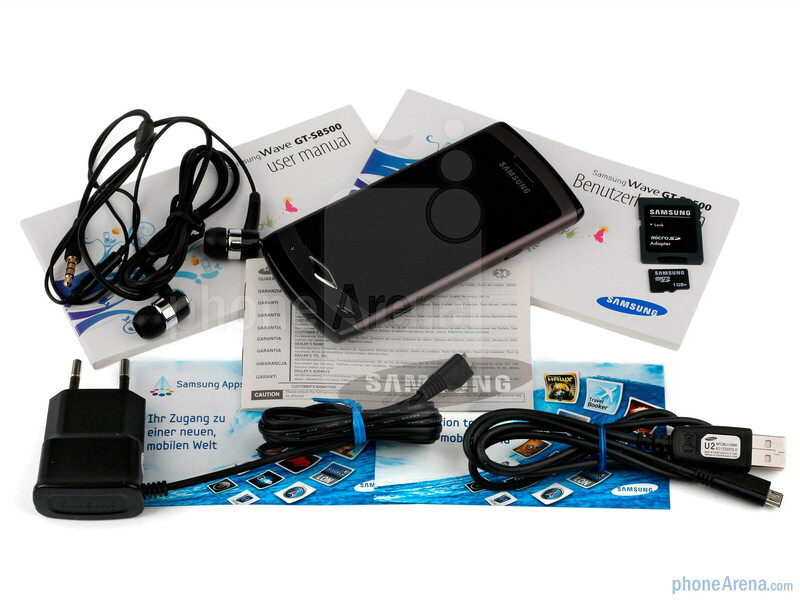 Great HD Video recording and 5mp camera! The best multimedia device out at the moment with H.264, DivX ,Xvid , MKV plus Sub title suppourt! Sturdy build quality! Highest gaming quality phone with 89mil triangles per sec! as for this review it doesnt make sense! -Not very intuitive interface?? 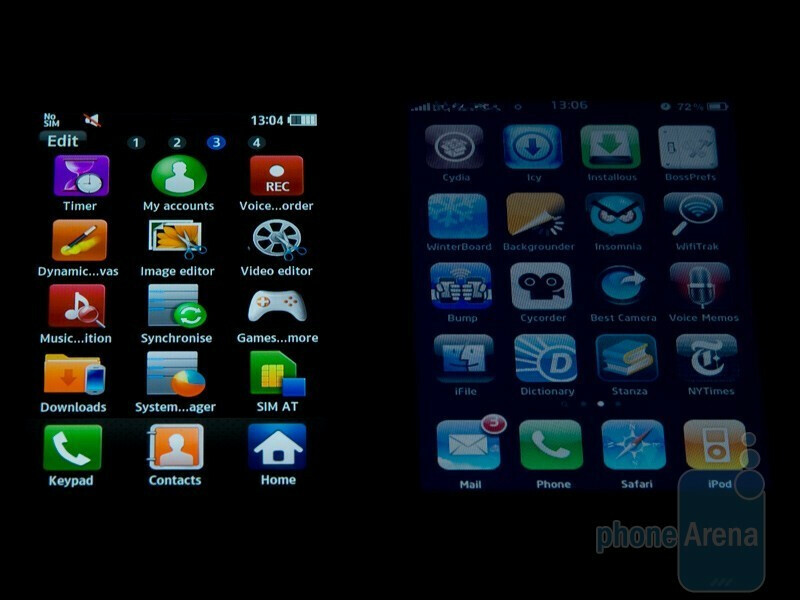 its like a iphone's interface which was praised by everyone! how can you guys even say that? i agree on the other points but damn could have given it a little higher score. if a phone doesnt come with a 50000 app store lets deduct 2 points for it. 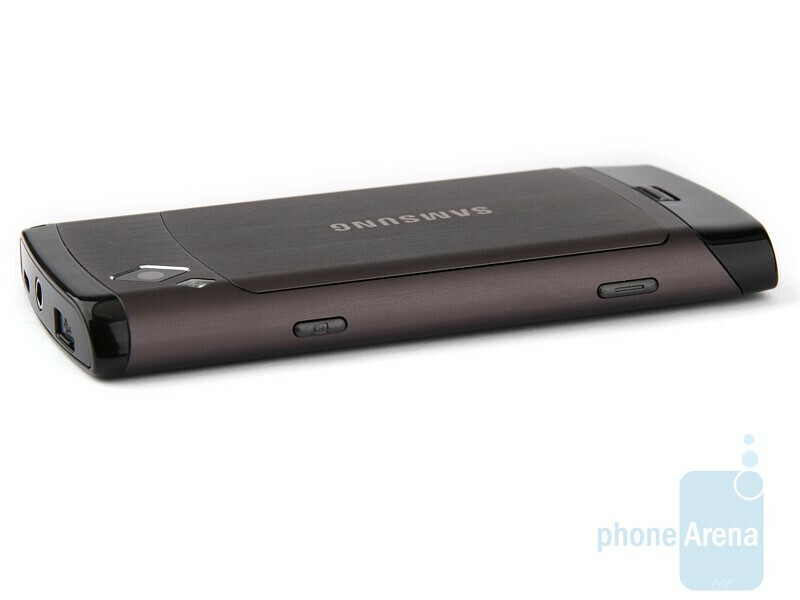 You will rate a samsung shark 8.2/10 and it cant do half of what this phone does! The main reason why this phone scores 9/10 in my opinion is the price! it does all of this for 4500rand in southafrica,a iphone 3gs 32gb is 11000rand cash. Yes thats twice as much! But yet lets give that phone a higher rating because yea its got lots of apps and its worth it =/ (end sarcasm) .. Phone arena's rating system is so poor! Price really does make a difference, I think the app store will grow due to handset price. Does anyone know if Samsung will do OTA updates for future fixes? Whoa! What's happened since the preview where you did nothing else but praise the same device in its pre-sale state? This one just sounds angry and far from being objective. I'm sorry but the style and wording kind of reminds me of the articles by a well-known Russian Nokia hater. Truly, that is not the way to go. I think you have done yourselves a tremendous disservice because this review is simply a disgrace. GSMAREANA.com read the review, its like they have two different handsets!! Im confused, the preview said this phone was great and GSMarena calls it a perfect feature phone it doesn't seem to have changed from pre production until now so why is the score so low? If the phone is to compete with android and the iphone the camera beats the iphone and the nexus one or desire. I guess you should never take the opinion of just one review site. i registered to this website just to comment on this, cos this is one of the most biased review i have ever seen and quite upset. Some reviews, yes, I agree, like the KM900 review. But sometimes, PhoneArena's reviews just go too overboard. Not very intuitive interface? bada OS needs more improvement and fine tuning? Samsung Apps has a very poor catalog ? Of course, its their first time using the properly working bada os since they have not reviewed the Galaxy S yet, and they are not used to it. But how can they say its not inuitive?? 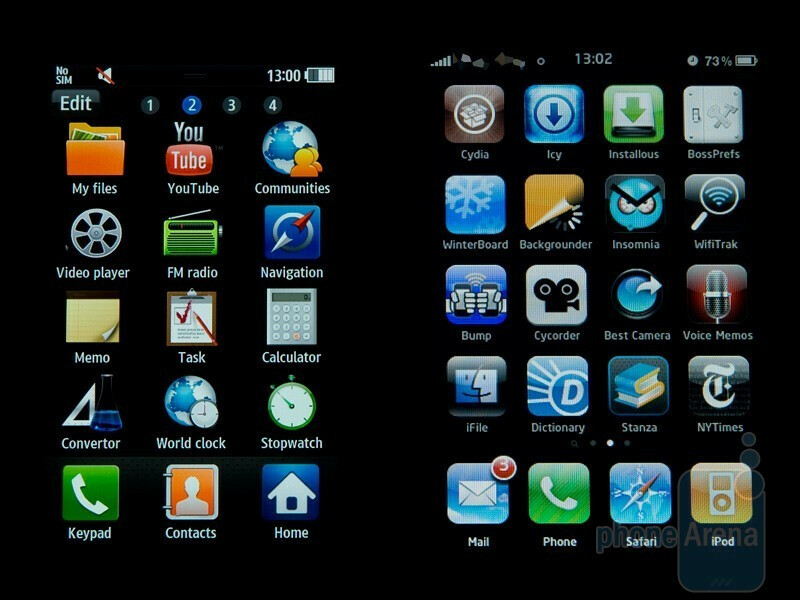 The bada OS is practically a Android+Iphone, which PhoneArena both loved. Secondly, let me ask ya, PhoneArena. What do you need more from the bada OS? Like I said, the OS is practically a Android+Iphone, what do you need more??? Lastly, the Samsung Apps. Yes, I agree that the Samsung Apps Store is quite limited, but you cant just put it as a negative sign. Like the Android and Apple application store, both were once very limited, but you never showed it as a negative sign before!! And one more thing to add, 'Photos of the 5MP camera are not good enough'??!! I tried the Samsung Wave during a Samsung roadshow and it was perfectly fine! Even, most reviews gave the camera positive comments. And what I want to say is, PhoneArena, I am quite dissapointed with this review. but there is some bada os in it, doesnt it?? Agree to your comment, i have tried the Wave outside and used it for a while. The Camera is very good, with Super AMOLED screen, the 5 megapix camera looks even more amazing than the quality Jet and Omnia series is having. No way the camera should be stated as a cons! The GPU wave is having is powerful too, no way it should be stated bad! No matter how i view this phone, it is way better than the iPhone 3GS! Just the number of apps is way too low compared to IOS tons of apps. yeah man, this is what i am talking about!! Hmmmm, What a shock! I have been reading all the comments and am shocked! PhoneArena need to pull this review down and go back to the drawing board. The overall consensus is that the review is wrong! It picks at things which 5 other independent reviewer don't talk about or mention. Let me tell you an example. "Over saturated SuperAMOLED display!!" what!! Do they have any idea that they are the only reviewer to mention that the screen has a flaw? Anyway I believe all the comments above sum it up. Pull down this review and start again! It takes 1 really bad review for me to put a big red X on a phone model. And it's a shame since the Wave is actually coming to my country really soon. But thats ok. We all have our iPhones and Androids. Sorry. I bought my Nokia 5800. Everywhere I read - it got very positive reviews. However, I was still very very disappointed with it. It is horrible. Now, imagine what I would feel like if I bought the Wave, which has already got at least 1 poor review. I will not make the same mistake again. My next phone is either an iPhone, or a top-of-the-line Android phone. Well I have had all of those phones you mention, 5800 sucked big time for me, Iphone was very limited and was a pain to use as a actual phone, I have had 2 android handsets and both let me down big time, they crashed when playing music battery was poor and sms was really buggy. So as you can see Bada is the last hope for me!! After realizing that all phones arn't perfect I still think that this is really one of the best buys you would eva make or miss. Well I don't know how you can say that the iPhone is limited - when there are 200k apps for it available. And of course no phone is perfect, but a lot of phones are much closer to it then others. And Bada simply cannot be better than Android and\or iPhone, because: 1. It doesn't offer anything new 2. It lacks a lot of stuff the latter two have. Namely - APPS. Its not just Bada - it's Symbian, and all the other crappy stuff out there. The only exception is Blackberry - as there is no real substitute to the Blackberry Server. Android and iPhone is the future. And the only one at that. What differs is obviously the hardware - but the OS is there. And it will be there. Ahh but you see my friend - back at the time - when the first iPhone and first Android devices just arrived to the world - back in 2007\8 - nobody really thought that a staggering amount of apps is such an important factor - unlike today. 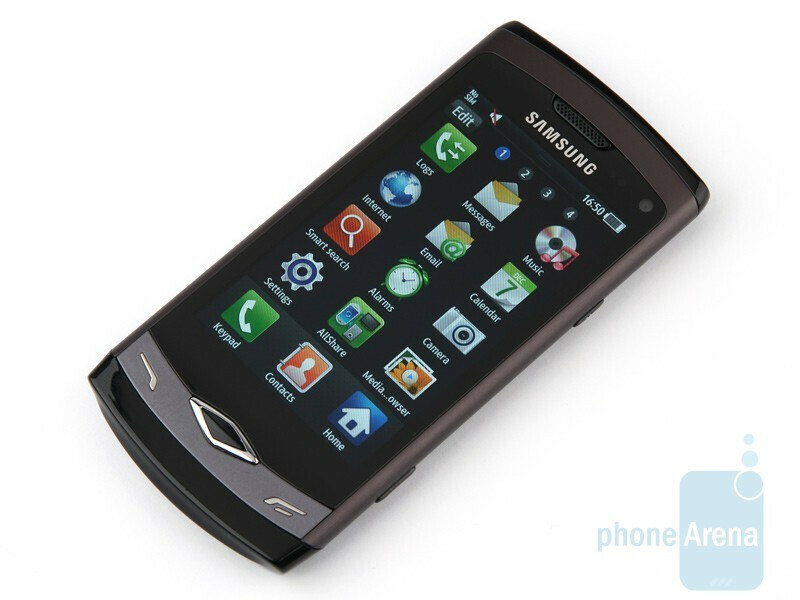 So to sum up: Does Sumsung have a huge App store for it's Bada device? No. Could Samsung do something to remedy that, guven the relatively short time between the Wave's announcement and distribution? No. Do we need to take this into account when trying to evaluate the worthiness of one phone or anoher? No. Why? Because it's a disadvantage compared to Android\iPhone existing devices. It may not be Samsung's fault - but it's still there. And since this is a review - it should not be ignored. 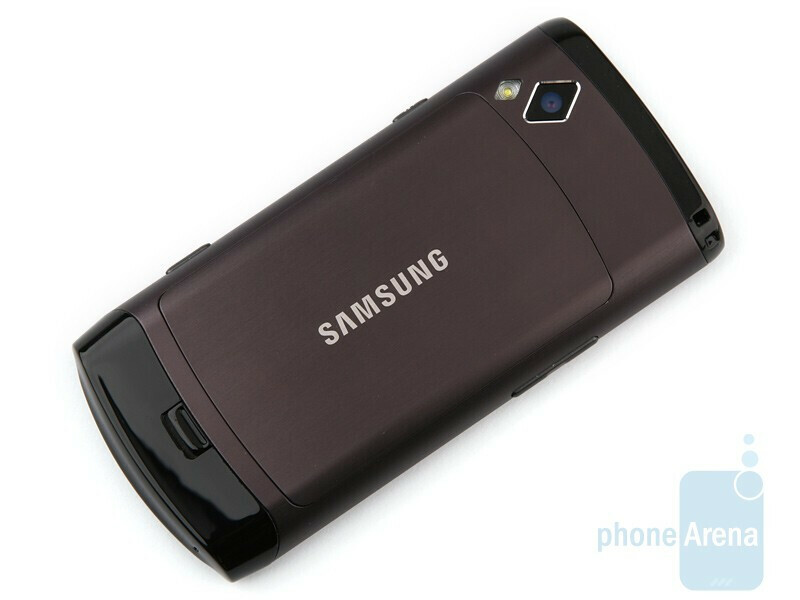 Show me a phone which cost's as low as the samsung wave with all those features. then lets talk. There isnt one. i dont care about the apps, i have a hacked psp with thousands of games and ps3 and pc games. Yea its nice to play a game when you sit on the loo but thats about it for a phone. Otherwise the samsung wave is the best quality in *audio - voice *screen *wifi n *bluetooth3 *15h tlk batterylife *thinest youch phone *Fastest Gaming cpu Those features which i can get at a low price are way more important to me than apps..... Just to show you how expensive a iphone is in southafrica its 11000rand where a samsung wave is 4650rand and samsung galaxy S is 7364rand for the 8gb version :). For that price this phone is the most amazing phone out! 10/10 the little flaws which phonearena complain about isnt even worth mentioning at that price! But dude - why on earth would you want a touch - screen phone if not for the apps? I had a Samsung E250 2 years ago. If I wouldn't have become aware of the fact that there are a lot of apps that allow your phone to do a lot of stuff - I would have probably never upgraded to a touch-screen smartphone. The whole purpose of a touch-screen is to allow your phone to do more stuff - as steve jobs himself said in 2007 - because when you develop an app - you can't run around and add a button to existing phones. More stuff = apps. No other way around it. Now when it comes to price - and I speak purely from a personal experience here - when it comes to smartphones - it's much better to pay more, and get a superb product of the highest quality, then to pay a little less and get a horrible experience. 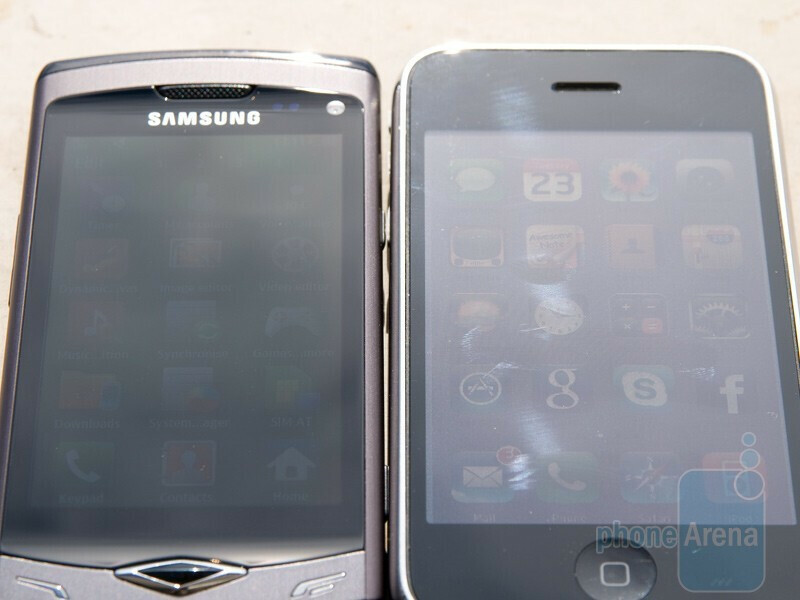 Compare - Nokia 5800 vs iPhone. And I would gladly turn my 5800 into atomic dust for all the frustration it caused me.